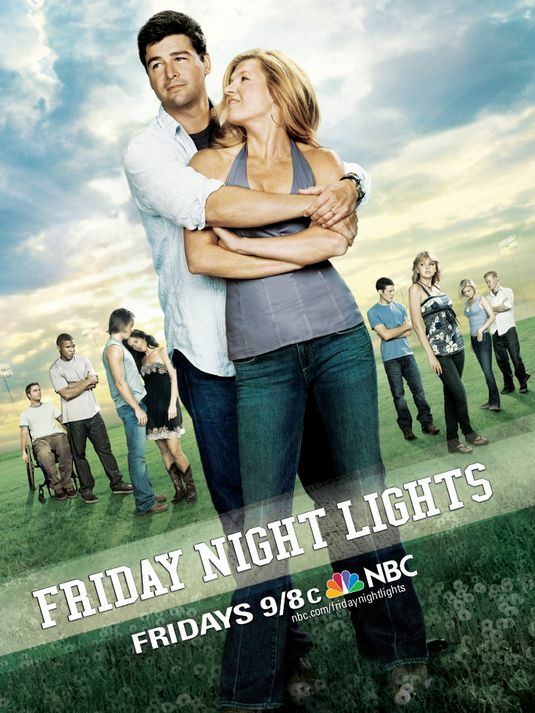 Tonight, season 3 of the Peter Berg show “Friday Night Lights” will premiere on NBC. Hands down it is the best drama on television. It is a very excellent family show. For a change, I’d like to see families in a small town coping with life than another violent crime drama. Don’t forget to watch. Below is my take on teens, and of course, “Friday Night Lights” on NBC now. Smart is not the adjective you think of when you think of how people think of teenagers. I heard all those cliched warnings before my boys reached 13 years of age. And really, I’m happy to report, Armageddon has not been unleashed in our household. On the contrary, the truth is nothing like those dire warnings told and told again more than seven years ago. Not just the teenagers I call my own, Andy, 17 and Matt, 19, but those they call their friends have indeed been smart, polite, genetically wired to please, level-headed, inquisitive, respectful and fun to talk to. Not all the time, of course! These are not your grandfather’s teenagers. Not the ones in which the folks who raised them would warn other families about. Two reasons why teenagers of today are different than the ones of the 1960s and 1970s: The weakening of the drug culture and the growing up in an HIV/AIDS/post-9/11 world. Drugs colored a big part of the baby boomer’s teenaged years. Even if someone did not do drugs, they knew others who did. Also, there were almost continuous uprisings regarding the Vietnam War, civil rights and the sexual revolution. All this widened the gap between teenager and mom/dad. threat of HIV/AIDS and sexually-transmitted diseases, things that teens are drilled about in mandatory health classes. In general, the world is a scarier place leading teens to stay closer to home and take fewer risks. This teenaged generation gets their driver licenses later, even well after they turn 18. And when they do, new “nanny state” laws prevent them from driving their friends for a whole year. Since today’s teens are more likely to have parents that went to college, the idea of getting good grades in high school is more front and center. And let’s face it, getting A’s and B’s in high school is no longer enough to get into a UC or top-notch private school. It takes AP classes, high SAT scores and well-polished application essays that are gems of modern American nonfiction. My boys have found other like-minded teens at the high school newspaper. It’s here where the boys and girls learn how to get along by working on a group project and expressing themselves in writing, photography and art/design. Last week, a group of these former high school journalists were in my living room, all now attending one prestigious university or another: Northwestern, UCLA, UC Berkeley, UC Irvine. For them, it was not about changing the world but more about finding a place to belong. For me, it was at my community college in Long Island where this science geek got cool by writing music reviews and hanging out backstage with local rock bands. I enjoyed writing columns urging my peers to hang up their polyester disco pants and discover a “new wave” of rock artists such as Elvis Costello and Peter Gabriel. A column on teenagers would not be complete without noting the common thread that keeps them going: the ability to write. Those who can write – in essays, in blogs, in articles – will cross that bridge into adulthood much easier. I’m reminded of a scene from the best show on television about teenagers, “Friday Night Lights,” which returns to NBC this Friday at 9 p.m. (My wife, Karen, and our younger boy watched the third season this year on DirecTV’s Ch. 101.) One episode, which will soon air on NBC, featured Tyra, a pretty girl trying to become the first in her family to get into college, writing her application essay. After several drafts, a friend urges her to drop the cliches and dip the pen into the ink of her heart. What comes out is amazing: an essay about how college won’t guarantee her the things she wants out of life, but will guarantee her a legitimate chance at getting them. A chance – at a change from growing up with a mother who drinks, no father, and a sister who is an exotic dancer. The show is smart, touching and real. It has sparked several real-life conversations between me and my teenaged boys. It is a part of my learning about the teenagers of today. They are our hope for tomorrow, a hope badly needed to fix a world messed up by today’s adults. Steve Scauzillo is the opinion pages editor.